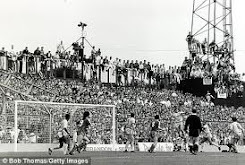 Swindon Town’s only season in the top flight came in 1993/94. The Wiltshire club, led by John Gorman, won just five games, conceded 100 goals but made many friends with their pass and move style, inspired by former manager Glenn Hoddle. 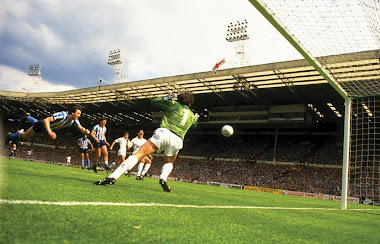 During the season a Norwegian international bagged their only hat-trick, a former FA Cup winning captain shored up their back line and Sky cameras missed their last minute leveller at Highfield Road. 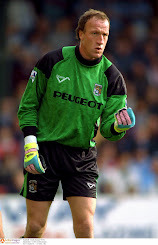 In April 1993 Kevin Gallacher departed Highfield Road in a swap deal with Blackburn Rovers’ Roy Wegerle. 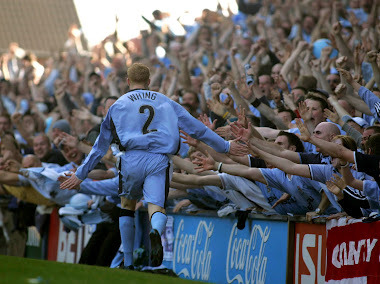 Until his departure in the close season of 1995 the USA international appeared 63 times and scored on 11 occasions for City. The visit of Swindon was broadcast to the nation and it was Wegerle’s fine finish from a move inspired by Chris Marsden that looked to have taken the points until Andy Mutch’s non-televised last gasp leveller stunned the sky blue hordes (forward to 3:40 mins and also check out Richard Keys' jacket). 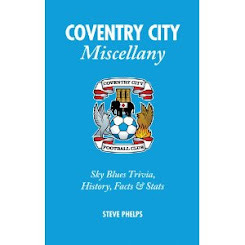 The return fixture at the County Ground brought a 3-1 defeat for City as Jan Aage Fjortoft bagged a treble and Brian Kilcline kept City's strikers at bay. Julian Darby netted for the Sky Blues on a cold February day in front of just over 14000 supporters. Wegerle inspired an eight-game unbeaten run at the beginning of 1993/94 which included the 3-0 triumph at Arsenal, a 1-0 at home to Liverpool and the late comeback (2-1) at home to Newcastle when Mick Harford headed the winner. Bobby Gould played Wegerle in a floating role which befitted his undoubted talent. 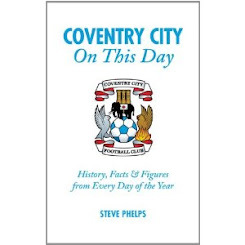 His quick feet and creative passing brought chances galore for Mick Quinn and Peter Ndlovu as the Sky Blues entertained the supporters. 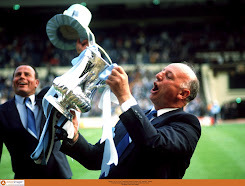 They ended ‘93/94 in 11th position and completed the double over both Arsenal and Tottenham. One of Wegerle’s finest moments in football came at Elland Road as he waltzed through Leeds’ defence in a QPR shirt as you can see below - an artist at work - a player who was able to hold the crowd’s attention with his trickery and invention. With four of the Sky Blues’ squad numbers over 30 it highlights the wind of change at the Ricoh. Introducing fines for poor marking at set-pieces amongst others is an interesting move and Robins’ disciplined aura seems to have gone down well with the City support after the Hi-di-Hi tenure. It’s about time there was a shake-up at the Ricoh, we pay hard earned cash (travel and ticket) to watch our side and have each spent thousands of pounds down the years. Mark Robins appears to see what we have all been seeing for years, finally, finally we might just have found the man to take us forward after years of being stuck in reverse. A 4-0 away win is a great start to the week, bring on Di Canio and his Wiltshire wonders. 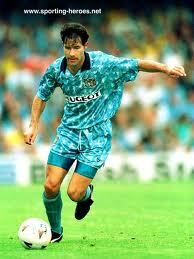 Wegerle and Marsden gave us a glimpse of some great football , all too soon as many sky blue things , coming to nought. Couldnt agree more on robins .. Not pally with the players , doing his job ... We have waited too long for this. Rumour has it thorn even let players off training if they or he didn't feel like it ! Robins approach is there for all to see in the recent results . He also clearing the deadwood out ... Be glad when bell has gone , and sorry to say Macca is well past his sell by ... Time to join the boro Macca pusb ! I saw Sheffers and Barton outside the away end at Swindon today, Sheffers on his 'phone while Barton chatted to Roy O'Donovan - all in their tracksuits and not in the squad. Could well be the end for them at City, its a shame as I've always thought Sheffers is a player but time may well be catching up with him now. 70 goals for City is an fine achievement in 250 games,we just need more from him at the present time.